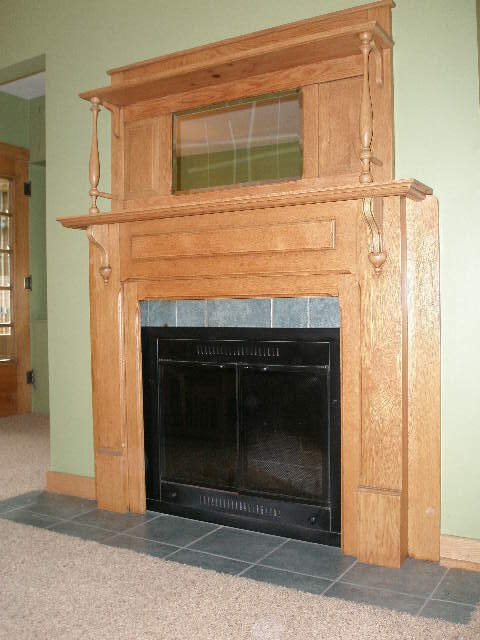 The homeowners wanted a new, more contemporary feel to the fireplace, the focal point of the living room. 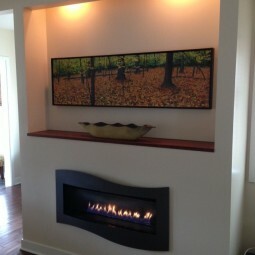 We replaced the original wood burning fireplace with a gas powered up-to-date design. By carving out a niche in the wall we were able to highlight a favorite work of art, and added small spotlights on dimmers. The family dog has a new favorite spot on chilly nights.